The Maine Media College in Rockport has recently achieved accreditation candidacy status. A Rockport-based nonprofit college that specializes in visual storytelling is on the road to accreditation after providing arts education for more than 40 years through workshops and certificate programs. The Maine Media College was granted candidacy for accreditation by the New England Association of Schools and Colleges (NEASC) last month — a status the organization has been working toward for the past three years. While the school still has five more years before it can become fully accredited, school officials say the candidacy status is a boost for the school and its students, who will now be able to qualify for federal financial assistance. 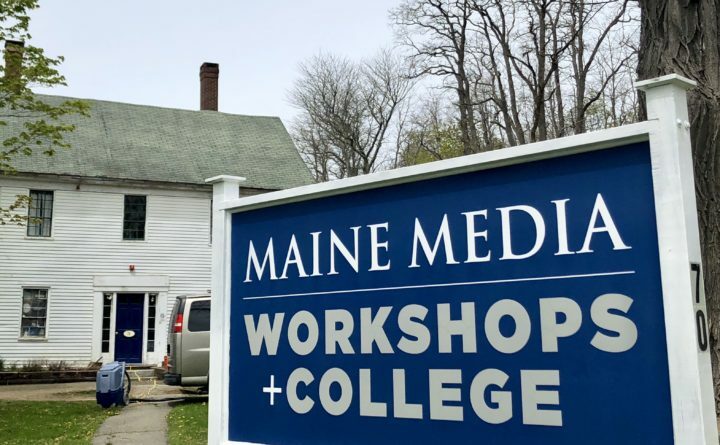 “I’ve always called the candidacy the light in the middle of the tunnel, there are so many benefits that come with that formal association [with an accrediting organization],” Maine Media College president Meg Weston said. The school’s educational focus is on media arts. It offers instruction in photography, filmmaking, book arts and design, as well as writing and multimedia arts. Maine Media College offers one degree-granting track, a low-residency master of fine arts program; two certificate programs — one in visual storytelling — and one in collaborative filmmaking; and a host of shorter workshops. By being granted candidacy status, the school can now apply to the Department of Education for approval, If that is granted, Maine Media College can begin to apply for federal grants and loans, Weston said. The financial benefits also trickle down to students who have not been able to obtain federal loans — or private loans that are federally backed — because Maine Media College has not been affiliated with an accreditation organization. With candidacy status opening the door for students’ financial opportunities, Weston said the Maine Media College board hopes this will grow the ways in which students can study at the school. “We felt it was important to be able to have more access, more diversity, and in fact grow [the MFA] program and our certificate programs,” Weston said. The full accreditation process spans eight years, featuring several stages of school-submitted reports and a peer-review report from another accredited college. After clearing the Department of Education hurdle, the Maine Media College will then have five years to demonstrate that the school meets the nine standards for accreditation set forth by the NEASC. Weston said full accreditation will also make it easier for students to transfer credits from the college’s MFA and certificate programs to other institutions. “We felt as a school and a board that the programs would be even more rich in terms of public confidence, integrity and the diversity of students that can [attend] if we were accredited,” Weston said.